Plant this tree in any room and you will have a totally unique display for all your treasures. 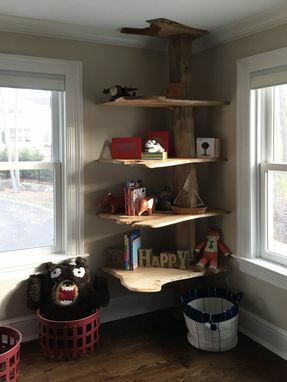 A reclaimed maple barn pole provides the main support piece. 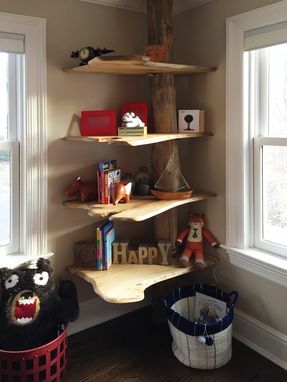 The live edge shelves came from a milled storm damaged poplar tree. It was designed to be taken apart for shipping and reassembled on site. 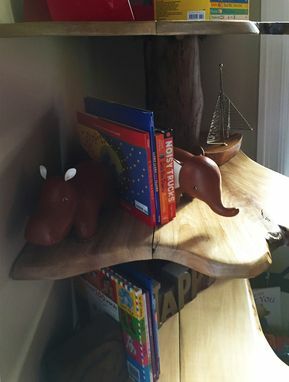 Adjustable foot pieces allow the main trunk to be safely wedged between floor and ceiling. 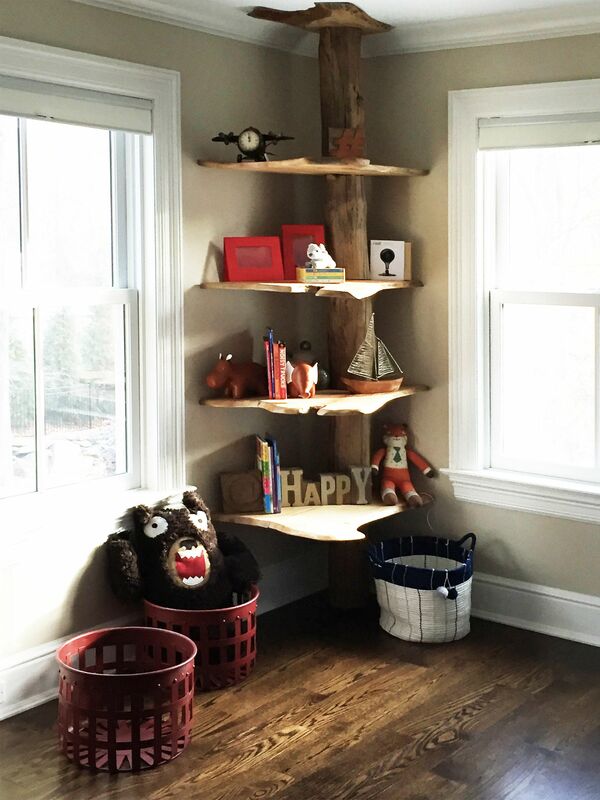 Rounded edges on all the shelves fulfill the kid safety requirement. Tempting, but not recommended for indoor climbing. Size as shown 8' main pole 36"L x 24"W x 1.5" thick shelves. Installation instructions included. Custom sizes and wood choices available. Ceiling height and room placement required for a safe custom fit. Installation available for local customers.